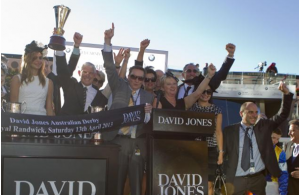 This sportsbook review caters to the Aussie punters out there looking for a great spot to wager on horse racing and other popular events. Betfair is considered to be the largest betting exchange on the planet and is licensed by the Government of Gibraltar. Betfair Pty Limited supports the Australia/New Zealand region. Operating out of the UK Betfair has assembled some pretty good features over their 14 year history. Live Streaming – They do allow live streaming of sporting events. The only thing is horse racing punters must wager a minimal fee first. 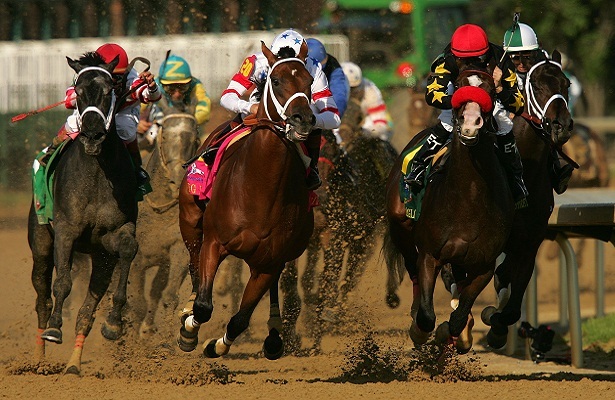 Variety – Betfair offers a variety of sporting events for punters to lay on from Australian Football to horse racing. They also offer American Football, baseball, and many other regional and European sporting events. Minimum Deposit – Ranges from $5-$25 depending on payment method. Fees – 1.5% when VISA or MasterCard is used for deposit. 13 months of inactivity on your account 5 EURO. Commission is 5% of net winnings. Languages/currencies – Although numerous languages are used and currencies accepted. For Aussies the language is English and AUD currency. Security – Encryption technology is utilized to protect your private information. Deposit Methods – VISA, MasterCard, POLi, BPay, Bank Transfer *NAB, NETELLER, Moneybookers, and Credit Union Transfer. Withdrawal Methods – Cards issued in Australia cannot be used for withdrawals. Withdrawals can only be made through Bank Transfer, Credit Union Transfer, Moneybookers, NETELLER, and *NAB. Mobile Betting – Apps are available for iPhone, iPad, Blackberry, and Androids. You bet $20 on first time bet, if you lose than your bet is refunded. There are a variety of bonuses directed towards casino, poker, and other betting events. Contact Info: Australians can call the Help Desk at 1 800 238 324. 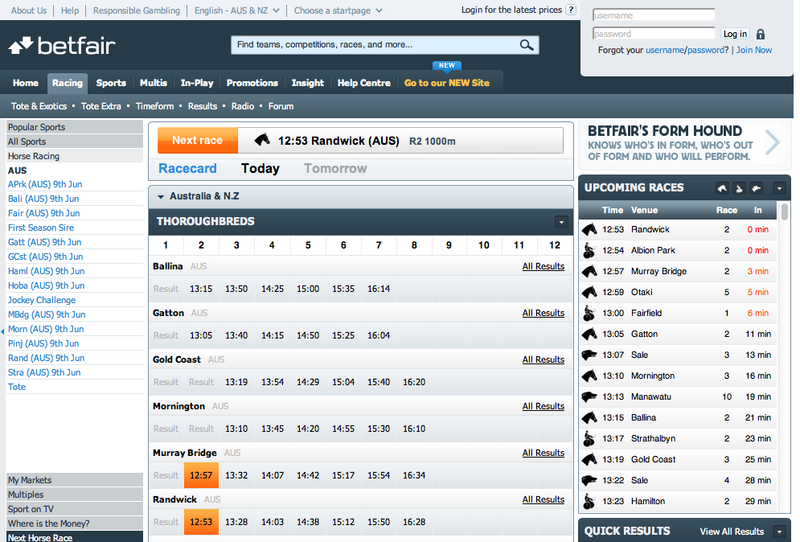 Betfair does offer a variety of good betting events for Australians. There are many deposit and withdrawal methods to choose from. Punters can use the website as a bookmaker and get free fixed odds or as a betting exchange that offers other options. In the case of betting websites it can truly be said that size does matter. The website is easy to navigate and once the punter catches on there are plenty of good opportunities.